1. In the Episcopal Church, the rector has full authority over the use of any space and buildings on the parish property. 2. 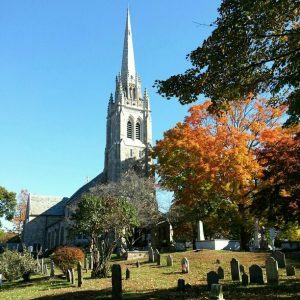 Members and non-members of the parish who wish to use space on the St. Paul’s campu s (including the church) for personal or business events must abide by the rental policy, rules and agreement approved by the rector and vestry as well as safe church policies of the Diocese of Connecticut. 3. Religious services, and other programs organized and supervised by the staff of the parish, will always take precedence over any other event. 4. All space use must be approved by the rector and coordinated with our Facilities Manager, Steve McCay and Parish Administrator, Marsha Dunn, and posted on the master scheduler.